SPRINGFIELD, Ill. — A circuit judge in Illinois has dismissed a lawsuit seeking to at least temporarily block the Jan. 1 implementation of a new law that would allow taxpayer money to be spent on abortion through Medicaid and state employee insurance plans. An appeal is expected to be filed today. According to the Chicago Tribune, Associate Circuit Judge Jennifer Ascher ruled that it is not for the courts to intervene in “political questions” in the legislature, such as when a law should be implemented or what appropriations have been made to fund an action. As previously reported, H.B. 40 passed the Illinois House 62-55 along party lines in April and 33-22 in the Senate in May. Lawmakers postponed sending the bill to the governor out of concern that he might veto the measure. The bill, in addition to allowing Medicaid and state employee insurance plans to provide coverage for mothers who wish to end their unborn child’s life, would ensure abortion remains legal in the state should the U.S. Supreme Court ever overturn Roe v. Wade. While Gov. Bruce Rauner, a Republican, had expressed disapproval of the bill earlier this year due to the “sharp divisions of opinion of taxpayer funding of abortion,” he ultimately decided to sign it. “I understand abortion is a very emotional issue with passionate opinions on both sides. I sincerely respect those who believe abortion is morally wrong,” he said in a statement in September. The Thomas More Society, a Roman Catholic organization, soon filed suit on behalf of a number of pro-life organizations and state legislators in hopes of stopping the law from going into effect on January 1. Among the nearly 25 plaintiffs included Representative Jeanne Ives, District 42; Senator Sam McCann, District 50; Representative Barbara Wheeler, District 64; Senator Dan McConchie, District 26; Illinois Right to Life Action; Faith and Freedom Family Ministry and the Pro-Life Action League. The organization argued that funds had not been appropriated for such a use, and that legally, the law cannot take effect until next June. 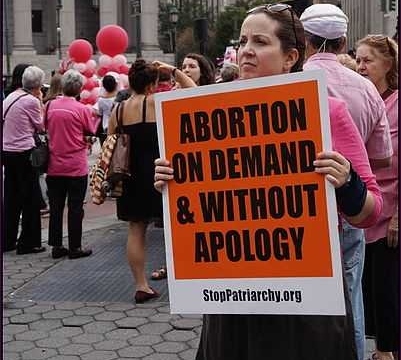 “This emergency injunction would stop a New Year’s Day implementation of this law, under which Illinois taxpayers would be forced to pay for 20,000 to 30,000 or more abortions per year,” Peter Breen of the Thomas More Society said in a statement at the time of the filing. Judge Ascher declined, however, to become involved in what she saw as a matter for the legislature and dismissed the suit. Breen, who is a state lawmaker himself, plans to file an appeal on Friday.